Above cmd will install reactjs globally in our system (-g for global). npx is a package runner tool that comes with npm 5.2+. 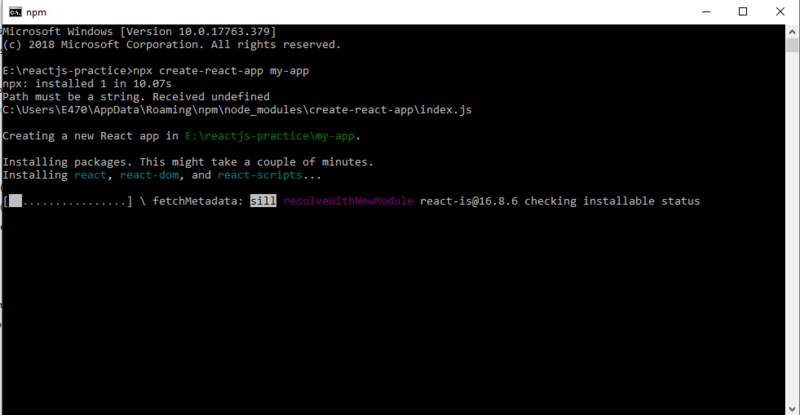 After creating reactjs project npm automatically trigger the installation of react-scripts, rect-dom and react packages. if not you can install it manually using below command(go to project root for manual installation, cmd cd my-app). –save parameter will save npm package in package.json file. It will start our development server on default port 3000, i.e. http://localhost:3000. the application will open in our default browser. whatever changes your doing on files after save it compile automatically and reflect changes on a browser without manual reloading. When we have done with our development, we need to deploy our project on a server for this we require production build for deployment. It will create a build folder in our project root folder. for deployment, we just need to move that folder on our server as it is. I hope you understood all of the above steps. All the above steps are with default configuration. if you want to add some custom configuration you can use cmd. It will copy all the configuration files and the dependencies (Webpack, Babel, ESLint, etc) in your root folder(config). Note: this is a one-way operation. Once you eject you can’t go back! Thats all !!!!. 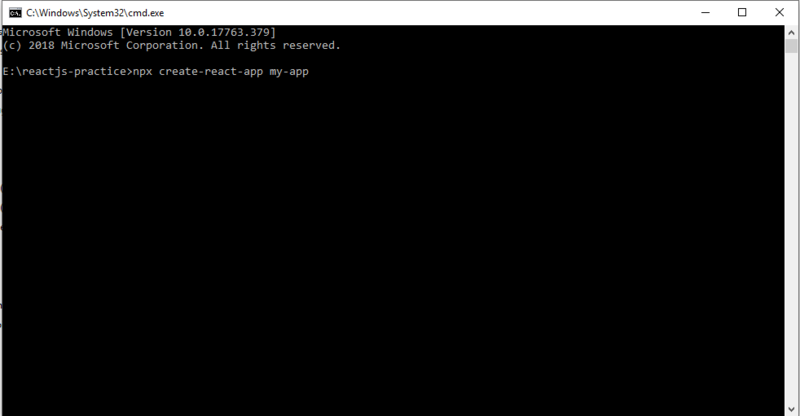 Hopes this will help you to set up your reactjs environment and create your reactjs application.